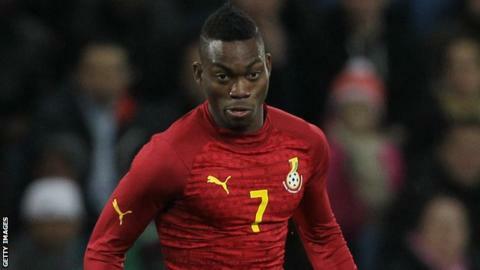 Promoted AFC Bournemouth have signed Chelsea winger Christian Atsu on a season-long loan deal. The 23-year-old joined Chelsea from Portuguese side Porto in 2013 for a reported £3.5m, but has yet to feature for the Premier League champions. Ghana international Atsu spent last season on loan at Everton, making 13 appearances in all competitions. "It is a huge coup to us as a club that he was so keen to come here," Cherries chief executive Neill Blake said. "Eddie Howe has got the team playing an exciting brand of football which has earned us plaudits nationwide. "I am confident that Christian will flourish under his watchful eye and amongst this talented group."